Though it may not feel it in some places, summer is just around the corner in the Northern Hemisphere and with warmer weather comes a rise in shark attacks. To protect swimmers and surfers from oceanic predators, scientists in Australia have developed a surfboard with LED lights on the underside that may deter shark attacks. In studying the ways in which sharks see and interact with the world around them, the research team at Macquarie University uncovered a surprisingly simple method to hide the silhouettes of surfers from sharks below that has so far proven to be “100% successful” in trials. Initial testing of the light-up surfboards in South Africa have shown promising results and the research team is now working with the Taronga Zoo, the New South Wales Department of Primary Industries, and a commercial partner to develop a market-ready product. “The designs we have tested have been 100 percent successful in preventing Great white sharks from attacking,” Professor Nathan Hart, associate professor of comparative neurophysiology at Macquarie, said in an interview with The Australian. The well-lit surfboard as shark deterrent was informed by observations of the natural world. “This strategy is a common strategy used by midwater fish, which are trying to avoid predators swimming below them,” Hart told ABC. “Some of these fish have light-emitting organs on their underside, which put out light and help them to camouflage themselves from the light coming from above. Technology and engineering take inspiration from nature, so we’re really trying to use that inspiration that has evolved over many millions of years, and apply that to a very modern problem.” The team expects to continue their research for the next two years before finalizing a product that can be used by the public. Swimmers or surfers? Its not the same! Several sharks circle ominously above. 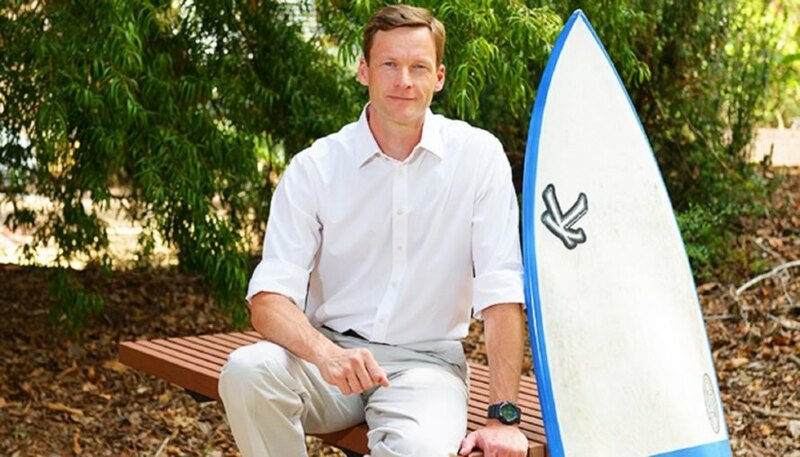 Dr. Nathan Hart poses next to a surfboard equipped with underside lights to prevent shark attacks. 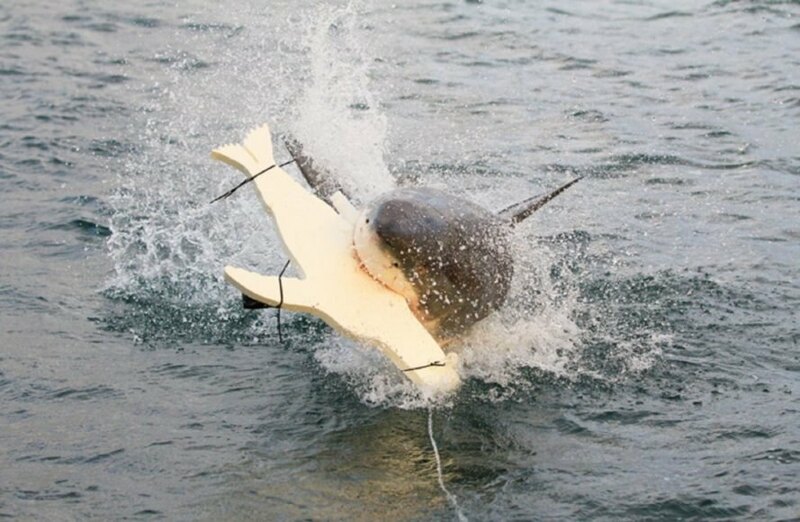 A shark attacks a seal decoy created by the research team to study the shark sensory system.